What is an individual? Is it the sum of all its deeds, feelings, knowledge, memories, and dreams, from being a toddler to present? Or an individual also consists of all of its known and unknown ancestors, their deeds, emotions and knowledge, their unique history? 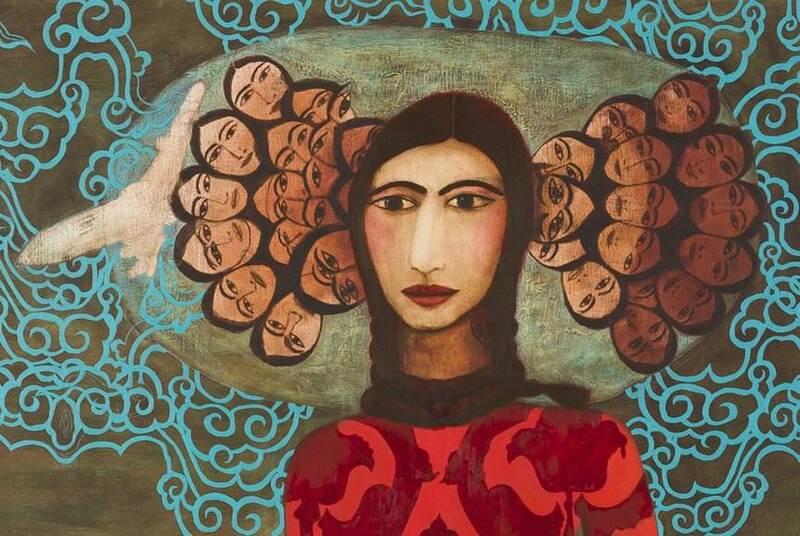 Samira Abbassy, Iranian born, UK raised and New York resident, tries to figure out her own specific history through her paintings. 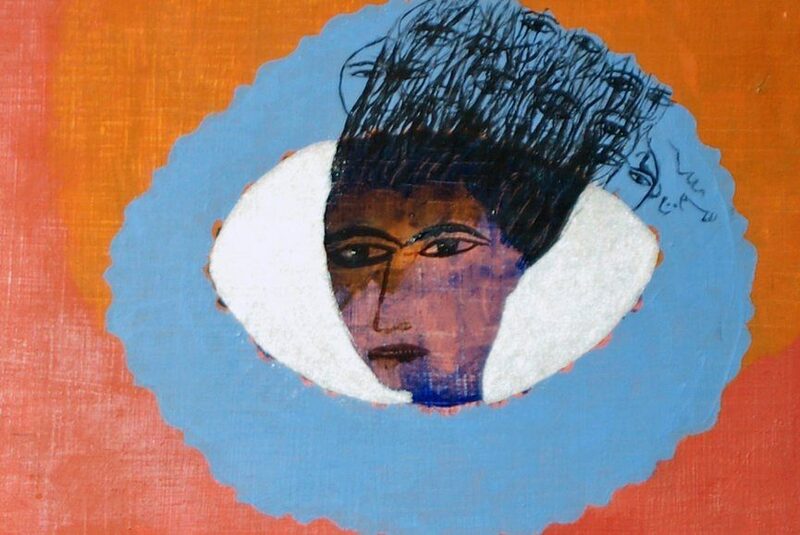 On many of artist’s work, there’s a face of a woman – a woman that resembles Samira Abbassy. 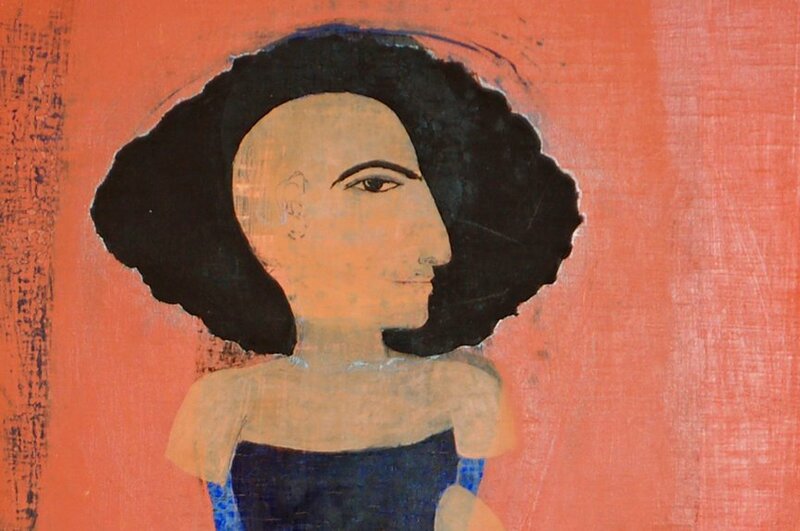 On the first glance, you may say she usually paints self-portraits. 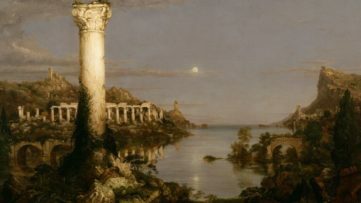 That face is often expressionless, but deep and wise, the paintings are dark and simple, almost to the naive-art level. But, the larger picture steps in when you realize that on most of those “self-portraits” appear two or more faces. Sometimes those faces belong to one person, but ocasionally there are also just heads disconected from the body. And many of those faces also look like Samira Abbassy. 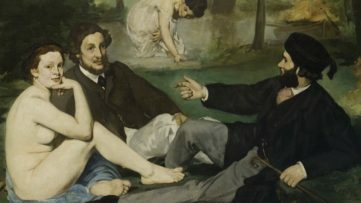 One could succesfully argue that, for the artist, “she” is almost as important as “they”, the countless number of her predecessors: they are built in and make very significant part of “she”, the artist. This is perfectly put in one of the paintings that visitors will see in an Samira Abbassy’s upcoming exibition An autobiography & other confessions in Dubai. 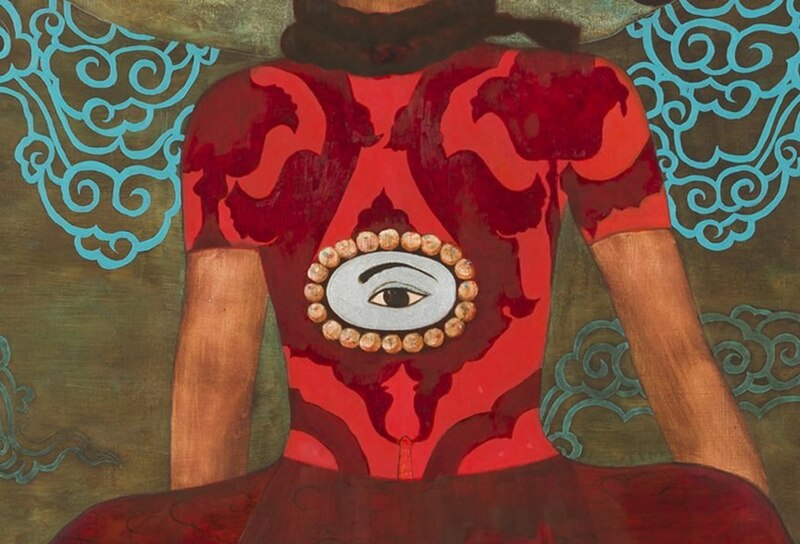 This painting from 2013 is called As She Swallows Their Fate – a Janus-like woman, with two faces looking in opposite directions and chewing hair, while heads of six other women are hanging from her belt. 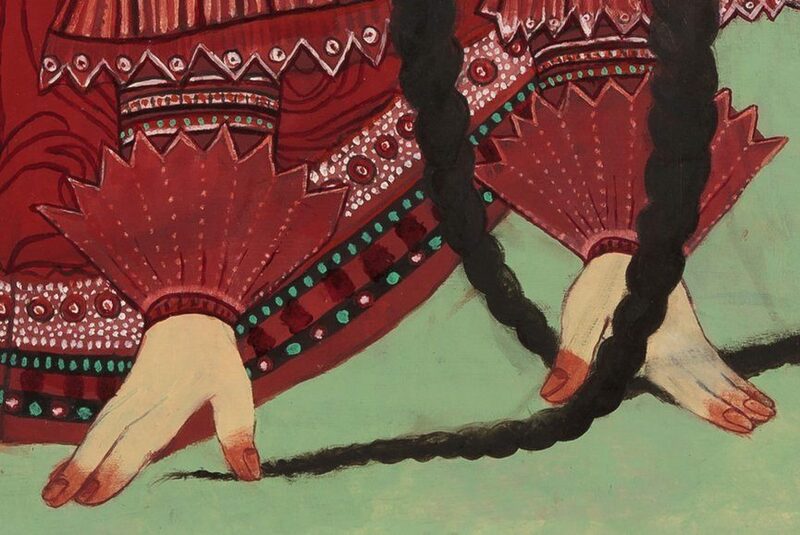 This is why the artist insists that it’s not her on the picture, but rather “the archetypal self”. Samira Abbassy was born in Iran, almost 50 years ago, but her family moved to London when Abbassy was just two years old. She graduated in London from Canterbury College of Art, and in 1998 she decided that the time has come to move on – again. Abbassy moved to Manhattan, New York, where she lived since. 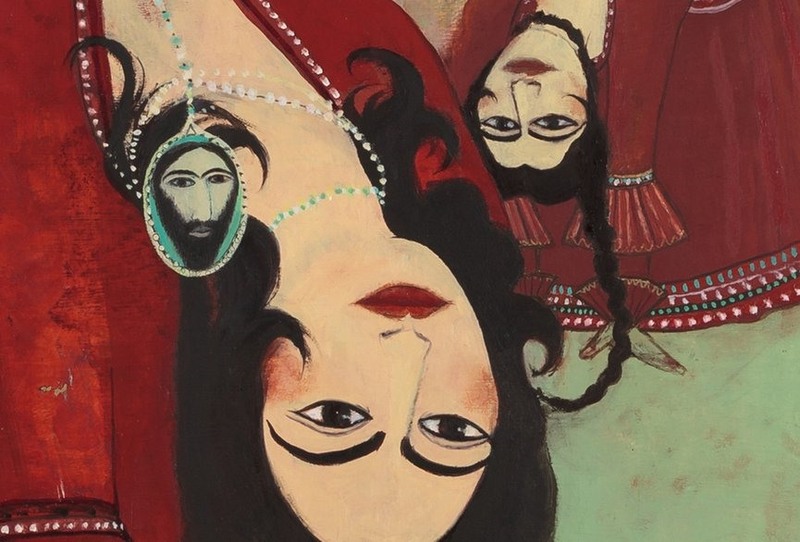 Considering this kind of a personal history, and joining it with Abbassy origin country’s history, it brings whole another dimension in the artist’s constant search for her roots – dimension of vulnerability that reflects on her paintings. 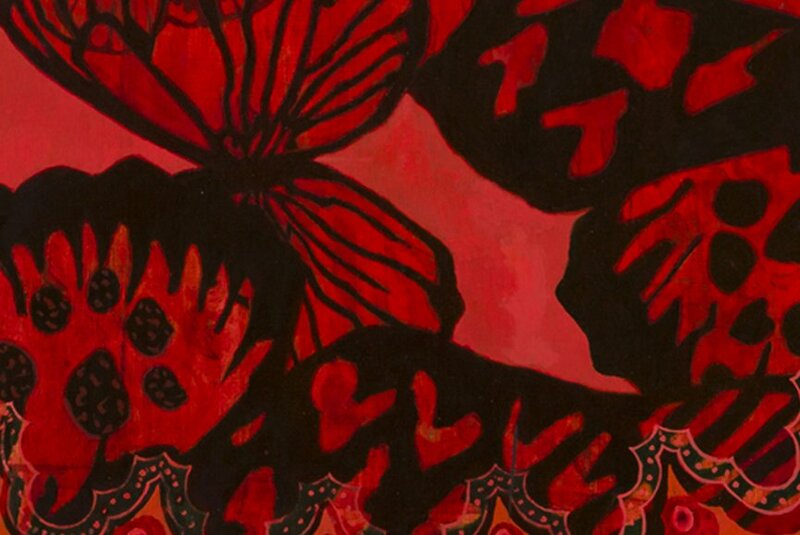 The exhibition “An autobiography & other confessions” will be opened in XVA Gallery in Dubai, on Saturday, February 7th 2015 in 6 PM. The exibition An autobiography & other confessions is artist’s first exibition in United Arab Emirates and its most populous city Dubai (check out the recent post on how performance art entered UAE and Dubai for the first time). 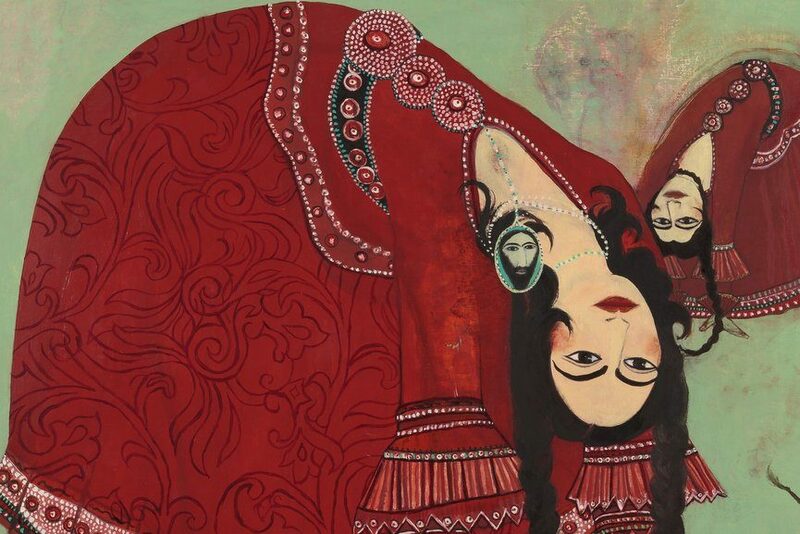 She’ll be exibiting her work in XVA Gallery, that puts emphasis on Iranian and Arab artists, and Samira Abbassy’s exibition will be the wrap of her latest period, from 2009 to 2014, with oil paintings on canvas and gesso panel, and drawings on paper as well. 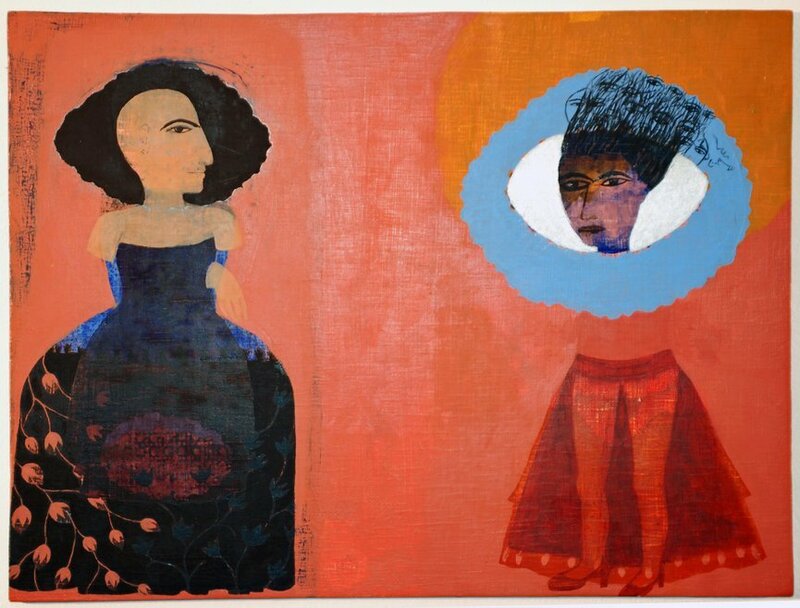 According to information from XVA Gallery in Dubai, the price range of the exibited Samira Abbassy’s work will be from $4.000 to $28.000. All images courtesy of XVA Gallery.